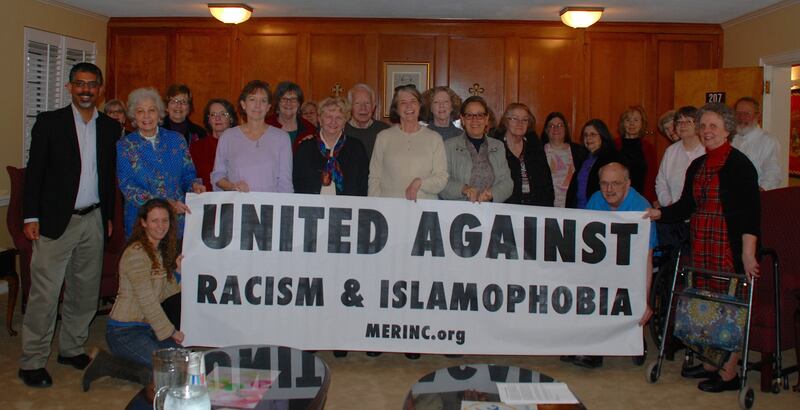 A talk titled “Challenging Racism and Islamophobia” was organized at Western Boulevard Presbyterian Church on Sunday, January 3, 2015. This talk was organized by Social Justice Forum at Western Boulevard Presbyterian Chruch. Manzoor Cheema from MERI (Movement to End Racism and Islamophobia) gave an overview of Islam and Muslims; roots of Islamophobia; connection between Islamophobia, racism and other forms of oppression; and practical steps people can take to defeat this oppression. This talk was followed by Q&A session where attendees asked many questions about Islam and Muslims. There was a great desire within attendees to learn more about the U.S. foreign policy and how it contributes to the rise in extremism in the Muslim world. Attendees requested sources of information on these topics and talking points on how to address questions from friends and relatives on the topic of Islam and Muslims. 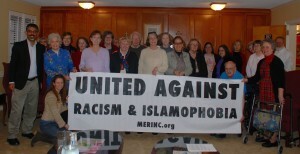 Many participants were interested in practical actions, including joining local SURJ (Showing Up for Racial Justice) to counter racism and oppression.